Full Moon is thrilled to be releasing the massive FULL MOON FEATURES - THE ART COLLECTION, an 84 page, 12x9 coffee table tome that collects a library of arresting promotional artwork culled from dozens of our legendary franchise horror films. Inside this incredible book you'll find lush and lively posters for films from the PUPPET MASTER, KILLJOY, DEMONIC TOYS, TRANCERS, THE GINGERDEAD MAN, EVIL BONG and SUBSPECIES franchises and many more besides. Here, collected for the first time, fans can have the original art they grew up with, couple with jaw-dropping international poster and one-sheet art used to promote these immortal pictures in various countries and territories around the world. 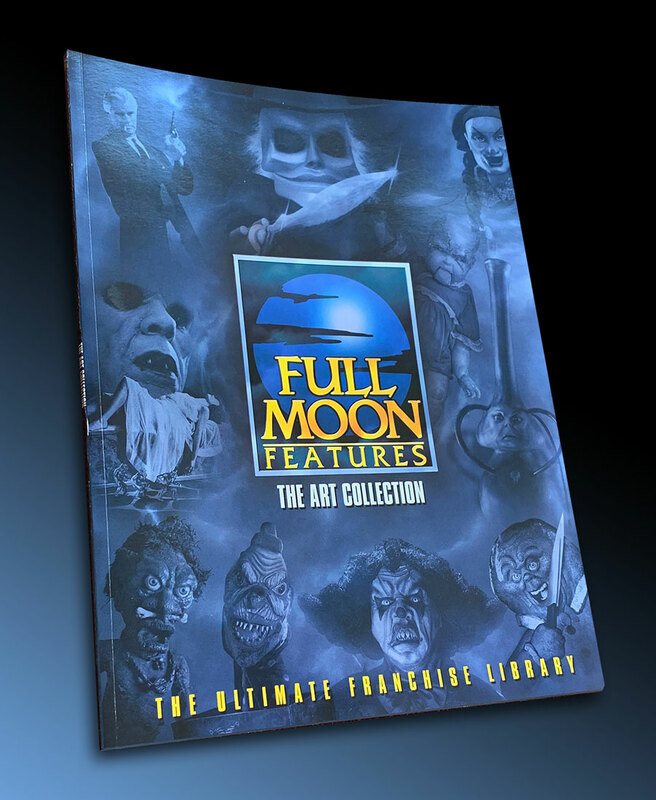 With the holidays fast-approaching, FULL MOON FEATURES - THE ART COLLECTION is the ultimate gift idea for the serious Full Moon fan and for lovers of weird and wonderful cinematic promotional art.